Many people get surprised when they hear of "water weight", especially for the first time. Water is very essential for life and our body is made up of 55-75% water(1). Despite this, excess water, known as water retention can cause us to weigh more. This situation is commonly refereed to as water weight. Losing water weight is very important. It could be one of the reasons why weight loss seems impossible. People have been known to move around with up to 20 pounds of water weight. This water retention could as a result of health issues or poor diet, food intolerance or high salt intake. Women may also experience water retention during phases of the menstrual cycle or during pregnancy. Water weight 101: What is water weight and how does it come about? Water weight is as a result of water retention. How does this happen? When you eat food, your body converts carbohydrates into glucose to use as energy for fueling your body's activities. When there is excess glucose, your body then converts it into glycogen for storage. Glycogen however, binds to water when it is being stored and the more the glycogen being stored, the more the water (2). This glycogen will then be converted back to glucose to use as energy when needed, especially if you didn't eat enough or are burning enough energy through physical activity. Eating excess salt will lead to water retention. Sodium which is found in salt is one of the important electrolytes in our body involved in fluid balance within our cells. Some medications have as side effect water retention. Those who are taking oral contraceptives, NSAID's (non steroidal anti-inflammatory drugs), or medications for heart disease may gain water weight as a side effect. If you have ever traveled long distances sitting then your must have experienced water retention. People who take long flights or travel by bus for like 12 hours will often discover that their feet have swollen to the point that their shoes may no longer fit. If your job requires that you sit for long periods of time, then you have to watch out for water retention. This is as a result of poor circulation in the lower extremities. Changes in the level of progesterone and other hormones in women can lead to water retention the week before menstruation. The good thing is that these extra pounds will usually go away. 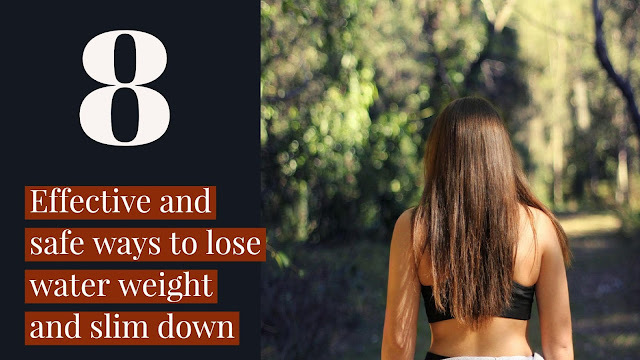 Here are 08 effective and safe ways to lose water weight and slim down. Exercising will help you burn up those excess glygogen that is binding with water. This will help shed the water weight that was as a result of excess glucose gotten from food. You do not need to get involved in vigorous physical exercise. Just a simple walk for about 20 minutes or taking the stairs instead of the elevator can help you one day at a time. Physical activity will also help you burn fats and give you your desired body shape. In order for you to achieve the maximum weight loss, we recommend that you eat healthy food, within your calorie limit for the day. You should also consider using weight loss supplements that shed water weight and burn fats at the same time. Raspberry Ketone Plus: This is because it is packed with Rhaspberry ketones, grape seed extract, green tea and apple cider vinegar. All this ingredients help in breaking down fat, increasing your metabolism so you burn those excess glycogen, regulate your appetite and also increases your energy levels so you don't feel lethargic. Visit the Raspberry Ketone Plus website to purchase yours at a 5% discount. Water off: It is an oral dietary supplement which has been formulated to shed excess water from the body. This will help you shed off water weight so that you can continue to burn the excess fats in your body. Visit the water off website to get your own water off. When you undergo psychological stress anti duiretic Hormone and cortisol increases (5). These hormones can influence water retention leading to weight gain. You therefore have to be able to manage stress. It is also important for you to get adequate sleep, because it is necessary for your body to get rid of waste and toxins. People should aim at getting 7-9 hours of sleep (6). Physical exercise, doing yoga, meditation, getting a pet and praying are various ways people use to get rid of stress and renew their mind. Try as much as possible to get adequate sleep in order for your body to function properly. However, our days activities, stress, activities of the next day might prevent us from actually falling asleep. If you are having problems falling asleep, we recommend that you take Nature sleep, which is a special blend of natural ingredients which is designed to calm the brain's activities and help you in falling and staying asleep. You can visit the Nature Sleep website to find out more. A lot of people think they get sodium from our table salt. That is just a little fraction of it. It you are consuming excess sodium, it means you are consuming a lot of processed and canned foods. These foods are high in sodium and they might be causing you to retain some water. It is recommended that we consume not more than 2,300 mg of sodium daily (8) which is about a teaspoon of it. When you eat excess carbohydrates, excess is stored in the body as glycogen and glycogen binds to water when being stored. 3-4 grams of water are attached to every gram of glycogen stored in your body (9). If you reduce your carb intake such that the excess glycogen is converted back to glucose and used, you will lose the water attached to it, resulting in weight loss. Doing physical exercise will also lead to the depletion of glycogen stores because it will be used for energy which will result in weight loss. It sounds strange that if you are trying to lose water weight, you should drink water. This has little to do with the water weight. Water is very necessary for the functioning of the body and dehydration can lead to weakness, confusion and lack of concentration. When you don't drink enough water, your body will instead hold on to the little water it has left. Drinking enough water sends the signal that water will always be available hence no need to store some in the tissues. The color of your urine should also tell you if you are drinking enough water. when it is too yellow, it is simply telling you to drink more. You should drink water when ever you are thirsty and stop when you are full. In other to avoid water retention, you should eat protein since it plays a role in water regulation. You should strive to consume protein in grams with respect to your weight in kilograms(10). For example if you weight 70 kg, you should try to eat 70 grams of protein daily. Food sources of protein include poultry, beef, pork, seafood, legumes beans. Those who are on a restricted diet (e.g vegans, vegetarians and others) may not be getting enough protein in their diets. Furthermore, if you are watching your calories and still haven't met your daily requirements of proteins, you will have to eat more protein rich foods which may be high in calories. There exist protein supplements that you can take in order to meet up with your protein requirements. By so doing, you will eat less and maintain a balanced diet and still lose weight. We recommend you take Bio Super Slim Mix powder. This is because it contains 5 natural ingredients that aid in weight loss and it is one of the most potent vegetarian/vegan sources of protein available. 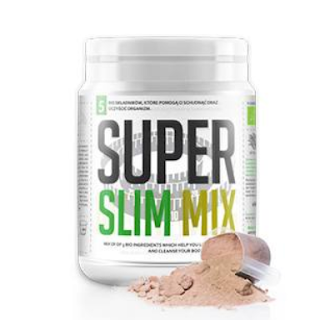 Visit Weight world to find out more about Super Slim Mix . There are other good protein supplements such as Whey and casein. Studies have showed that magnesium supplements can get rid of fluid retention that occurs as a result of premenstrual symptoms (11). Magnesium also reduces water rate by increasing urine production. Magnesium can also be found in foods like avocado, black beans and leafy greens. Potassium also reduces water weight by increasing urine output and decreasing the amount of sodium in our body. Foods that contain potassium include banana, tomato, avocado and green leafy vegetables. It is advisable to consult your health care provider so that you can take a supplement that contains potassium and magnesium in it. Water pills and diuretics can be used to treat water retention which will also get rid of water weight (12). They make your kidneys to excrete excess water and salts. Diuretics can be prescribed by a health care professional. You can also try taking water pills that will get rid of the water that is being retained in your body. 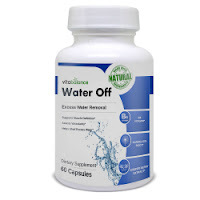 We recommend water off, which is an oral dietary supplement that can get rid of water weight plus it is safe to take. It contains many essential vitamins and nutrients such as magnesium, vitamin B6 (folic acid) and dandelion root. Those who have kidney problems are advised to consult with their health care providers on how to lose water weight. This is because altering your potassium intake can have some side effect or adverse effects. Those who have heart conditions should also discuss with their health care providers before making any changes.